dental and vision appointments for the upcoming school year! A physical examination is required for entry into Preschool, Kindergarten, 6th, and 9th grades. The exam must be completed within one year of entering school at the required grade (Example: for the school year 2019-20, the physical must be dated after September 1, 2018). The physical can be performed by a physician, physician assistant, or advanced practice nurse. 1. A student is considered to be in compliance when they have submitted the appropriate documentation for the physical and immunizations required for their grade. 2. 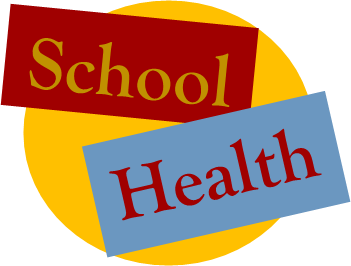 Students who are not compliant with physical or immunizations by October 15th of the school year are subject to exclusion from school until the appropriate documentation has been submitted. 1. All immunizations must be completed before the start of school and proof of immunizations must be presented to the school office before the first day of school. 2. See attached table for schedule of required immunizations. 1. All students enrolling in Kindergarten and students enrolling in an Illinois school for the first time (public, private, or parochial) must submit an eye exam. The requirement does not apply to preschool students. 2. The exam must be completed by a optometrist or ophthalmologist. 1. Children entering Kindergarten, 2nd, and 6th grades are required to submit a dental exam form. 2. The exam must be completed by a licensed dentist. 3. Proof of exam must be submitted by May 15th. 4. The exam must have taken place within 18 months prior to May 15th (Example: For the May 15, 2020 deadline, the exam can be dated after Nov. 15, 2018). 1. Preschool children three years of age or older in a public or private educational program or licensed childcare facility. 1. Preschool children age 3 and older in any public or private educational program or licensed child care facility. New students enrolling in an Illinois school for the first time will be required to obtain a physical examination, vision exam, and provide up-to-date immunization record regardless of grade. Reminder…. This was NEW for 2016…..The religious exemption form must be filled out by the student’s doctor and turned in to the office at registration. The form is located on the school web page under Menu, Documents, Student Health Forms & Information.